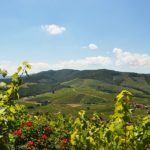 Naples has so much more than the beaches! Here’s a look at some top things to see and do in Naples. We have had a home in Naples, Florida for 18 years, and although the beaches are beautiful, I have only been there three times. The beach is wonderful and you can spend days exploring Naples other attractions. My brother and sister-in-law were visiting us, and I decided to play tourist in my own town. We started with the Naples Trolley Tour and climbed aboard the vintage Tolley. Our trolley guide, Wayne Lucy was informative, and funny. Wayne informed us he would not only share the beauty of Naples, but the history as well. 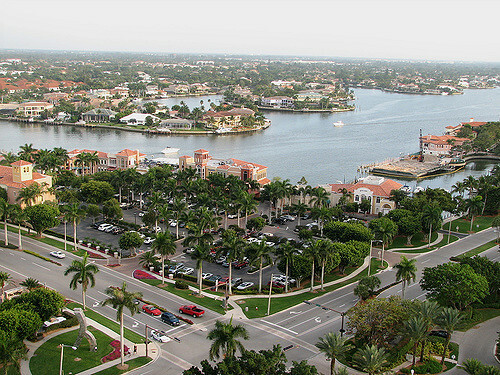 Naples was founded in the late 1880’s by Walter N. Haldeman and General John Stuart. The first main structure they built was the Naples Hotel by the Gulf of Mexico. For the last 100 years The Barron Collier family helped shaped Southwest Florida. The Baron Collier family story was amazing, and Wayne gave us the entire history as we drove. We passed the Naples Depot, which is now a museum and dates back to 1903. Naples has some of the most beautiful golf courses in Southwest Florida, I am sure you can find one of the 80 courses to play. We had an unscheduled stopped in Pelican Preserve to check out the alligators in the pond. Apparently, there are many alligators in the local ponds just living the good life. The Naples Trolley allows you to jump on and off the trolley at varies points of interest. You’ll also catch a glimpse of the spectacular multi-million-dollar homes, that Naples is so famous for. 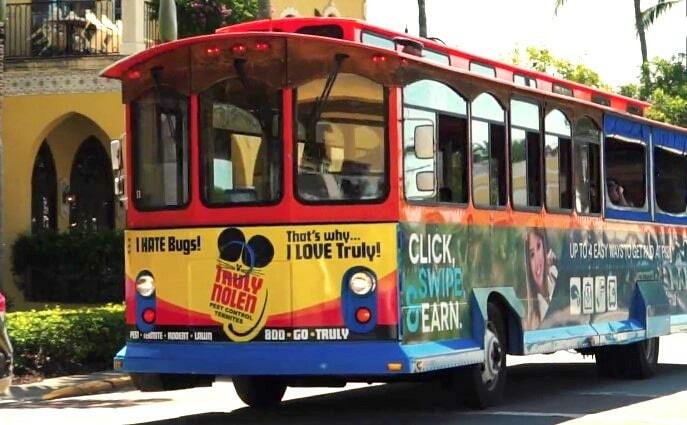 The trolley is a great way to learn about Naples and hear about the places not always advertised. If you purchase your tickets online, you can get a discount. The trip is enjoyable and well worth the price of a ticket. Children love ridding the trolley through Naples. Seeing Naples by land is an enjoyable experience but seeing it on the water is spectacular. The Naples Princess is a 105-foot, U.S. Coast Guard approved 149 passenger yacht built to the highest quality standards. The yacht was custom designed with a high gloss cherry wood interior, gold-platted reflective ceilings and flat-screen television. The captain’s lounge offers a nautical décor and provides beverages and food to add to the enjoyment of your cruise. The Naples Princess provides several types of cruises, including a Sunday Brunch, daily morning, lunch, afternoon and sunset excursions. Just relax as you cruise down to the Gulf of Mexico and view the magnificent homes on the water. Keep an eye out for the dolphins swimming alongside the yacht. The Naples Zoo is much more than a walk-thru zoo. There’s an historical tropical garden that has been nationally accredited, and the zoo is a full-day wildlife experience inspired by a natural world environment. Animals from all across the globe include Giant Anteaters, Cotton-top Tamarin, and Malayan Tigers, to name just a few. Children can have fun feeding the Giraffes. The Zoo features two of the 20 remaining stripped Hyenas in the world. A quick boat ride will take you around the Naples Zoo Primate Expedition, where you can see the primates in their natural habitat. You will see the three major types of primates; monkeys, lemurs, and apes. A must see during your trip to the Naples Zoo. We have been told there are over 950 restaurants in Naples; however, there are three we highly recommend and visit often. There is a difference between dinning and eating. We prefer dinning, which means we are looking for great food, service and atmosphere. 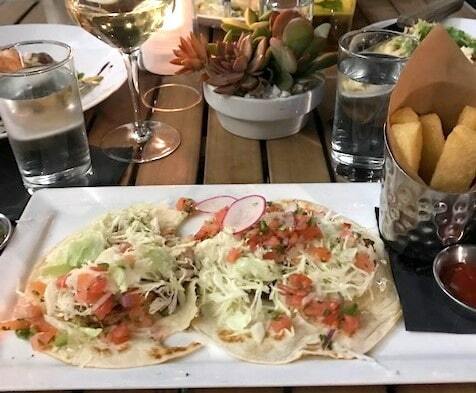 We love many of the restaurants on Third Avenue; however, Tommy Bahamas Restaurant and Bar is one of our favorites. The Caribbean style food and service is always wonderful, and during the holidays you get a special treat when it begins to snow. You heard me correctly, snow coming from the street lights and landing on the streets and cars. It actually sticks to the ground, just part of the Holiday celebrations on Third Street. 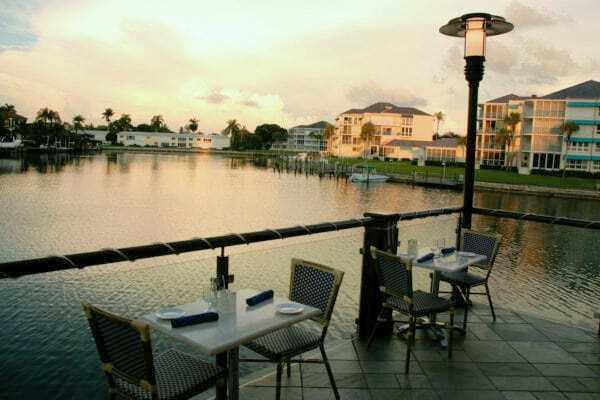 If you are looking for waterfront dining, you can’t beat the Venetian Village. Our favorite restaurant is the Fish Restaurant. You can sit overlooking the water and the food is consistently excellent. Our favorite dish is the Bronzini for two. We love to watch the waiters filet the fish table side. The outstanding service begin when you check in for your reservation. The hostesses are always friendly and welcoming. We have eaten at the Fish Restaurant many times and brought all our visitors to experience the dinning pleasure. When our visitors return, they always ask to return to the Fish Restaurant. We dinned at the restaurant on New Year’s Eve and had a great time – never felt rushed or neglected. That’s service. A somewhat new restaurant was our great discovery, 7th Avenue Social, owned by Jerry Alajajian. The reason I say somewhat is because the restaurant first opened in 2015 and Jerry purchased it in 2018. I was looking for a somewhat quiet restaurant, for Christmas Eve, and came across 7th Avenue Social on Open Table. I thought I remembered the restaurant, but something struck me as being different. Remember this was Christmas Eve and the street was hoping, but our service and food were outstanding. Our guests said it was one of the best meals they have ever eaten. The signature Grouper dish was amazing, and the pork dish was hailed as the best pork dish. Everything was delicious, from the drinks and appetizers to the meals. I needed to learn more about the restaurant and arranged a call with Jerry. 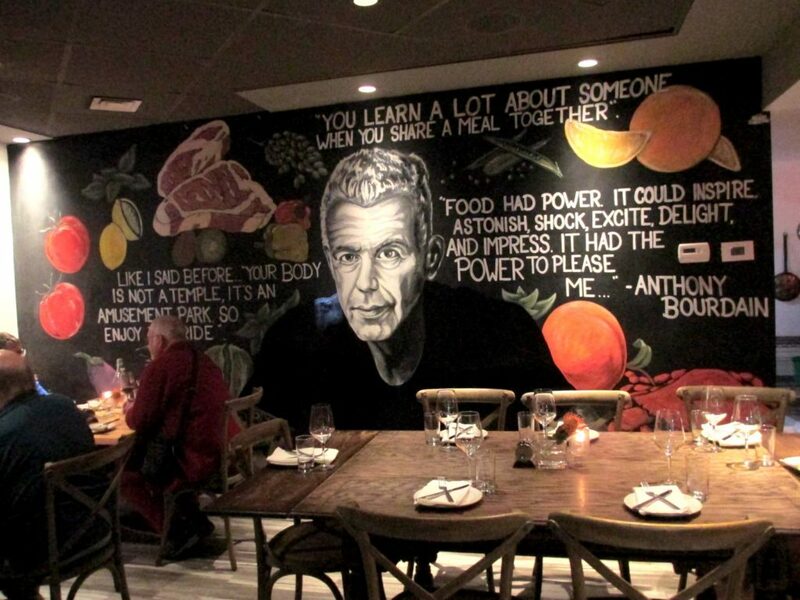 The sign above the door said, “Handcrafted Food and Drink,” and inside the restaurant was a mural of the late Anthony Bourdain. I asked Jerry to tell me the story of the sign and the mural. Jerry was a big fan of Anthony Bourdain and wanted his restaurant to be one Anthony might have visited. Jerry’s head Chef, Everett Fromm, believes in seed-to-table dining and he sources all of the food with an eye to local freshness and global flavors. The restaurant tagline is “Local Fair with a Global Flair,” and that is exactly what you get. A true farm-to-table experience, where you can taste the freshness in everything you eat. Consistency is critical to the success of any restaurant and we returned the 7th Avenue Social with some new guests. The service was excellent and I tried the Tuna dish for the first time – it melted in my mouth. The infused flavors burst with every bite. There is no doubt both Jerry and Everett are passionate about food and Anthony Bourdain would have loved to dine at 7th Avenue Social. Wicked Good Tip – don’t forget to check discount sites like Groupon to find discounts on Naples sightseeing activities and restaurants. If you are thinking about getting out of the cold and want a fabulous vacation, we invite you to visit Naples, Florida. 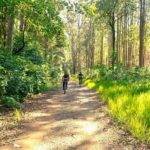 If you visit any of the places we mentioned in this article, please tell them Wicked sent you. Enjoy.